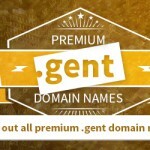 Premium .GENT domains: a profitable investment! We are almost there: from 23 February, the successful .gent registry will release the premium domain names. This is a list of more than 500 popular domain names, whose registration has been blocked until now. They owe their success to the fact that they feature very popular keywords that directly describe the intended product. Just think of cafe.gent or hotel.gent: the name instantly describes what you are looking for, and where to find it. A domain name with descriptive keywords might just well attract many visitors. And on the Internet, this means: an extremely valuable domain! A good domain name can be a key factor in the success of your website, and therefore also in the success of your company. A descriptive domain name that is easy to remember because it features very popular keywords will help you rank higher in Google and attract lots of visitors. A premium domain name will also make people consider you the number one specialist in your sector. No wonder some domain names are worth millions. Buyers who spend such huge amounts of money are perfectly aware that such a domain name quickly pays off. A premium domain name is seen as virtual property. Some domain names see their value increase over the years. The best strategy: should you buy now or wait? The .gent premium domain names will be sold over a period of 5 days. The price will drop a bit every day. So, it is some kind of a reverse auction. Instead of making a bid, the buyer – depending on his budget and interest – can choose to wait until the price drops. But if you wait too long, chances are that you will be too late. With premium domain names, what is cheap may cost you money – and perhaps even lots of it! For the .gent premium domain names, the auction on day one will begin at EUR 5000/domain name. This may seem expensive for an intangible combination of letters and dots. But it is actually little money compared to the profit you could make by using a premium domain name wisely. Also, keep in mind that this is a one-time investment. In the following years, you will pay EUR 25/year for your popular domain name, just the same as for all other domain names. If, in the end, you decide not to use the domain name or you want to make a career switch, chances are that you will be able to resell the domain name at a profitable price. We at Combell offer you the opportunity to sign up right away for your desired domain registration via My Combell. You can choose the day you want us to register your domain name. You can do this until midnight the day prior to your chosen date. If, however, someone else wants to register your desired domain name at an earlier date, your money will not be lost. If you choose to register your domain name on 02/25, and another customer wants to register it on 02/23, Combell will register the domain name on 02/23. You will be notified via e-mail of other registration requests for your desired domain name. You will then have the opportunity to change your registration until midnight the day prior to the date on which the domain name should be registered. And if you come away empty-handed, you will not owe us anything. Entrepreneurs from Ghent, do not wait any longer! Are you interested? Do you have any further questions? Feel free to call our domain specialists on 0800 85 678.